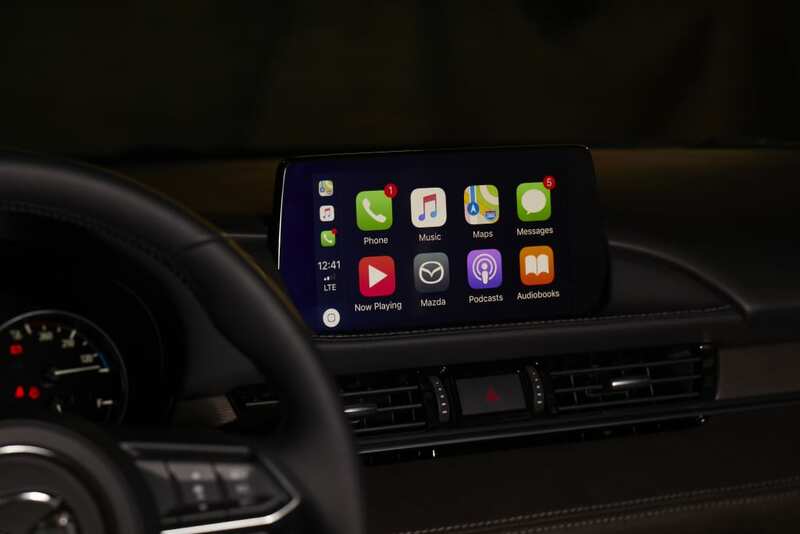 Mazda North American Operations (MNAO) announced today that Apple CarPlay™ integration for your iPhone® and Android Auto™ are now available as a dealer-installed update for applicable Mazda vehicles, model year 2014 or newer and equipped with MAZDA CONNECT™ infotainment system. This dealer-installed update includes both hardware and software components. Applicable Mazda vehicles will be equipped with a more powerful, faster-charging 2.1-amp USB ports in addition to the latest version of MAZDA CONNECT™. Both infotainment technologies first appeared this summer in the 2018 Mazda6 and are available in the 2019 Mazda CX-9 and 2019 Mazda CX-5. Apple CarPlay™ integration for your iPhone® and Android Auto™ enable occupants to safely use smartphone applications through the MAZDA CONNECT™ infotainment system and help make staying connected and entertained effortless.With Mazda’s philosophy to minimize distracted driving, safer operations can be made with the multi-function Commander knob, shortcut buttons or voice command functions. This integration helps keep the driver’s hand and eyes away from their smartphone. Customers with applicable Mazda vehicles can schedule an appointment (requires approximately two service hours) with their local Mazda dealerships to have the service performed. The upgrade has a suggested retail price of $199 (MSRP) + Labor.